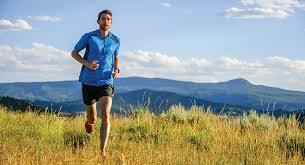 As an endurance athlete you already have a higher blood volume. Having higher blood volume reduces heart rate during exercise, delivers more oxygen to hard working muscles, sends more blood to the skin for cooling, and furnishes a reserve supply of internal fluid so that sweat rates can remain high during exercises. Your blood volume begins to increase after just a single exercise session and then reaches its peak within a few weeks. Aerobic exercise typically reduces your blood pressure and your resting heart rate. But pregnancy increases your heart rate and makes your blood pressure fluctuate. Your resting heart rate can increase by as much as 15-20 percent during pregnancy. The increase in blood volume due to cardiovascular fitness is much less than the increase seen for pregnant women. Pregnancy increases your blood volume, in fact it increases by as much as fifty percent. You need this extra blood because you’re providing for your growing child. During your first trimester, your blood is going up, but not a lot because the baby is so small and has small needs. By the second trimester, you may experience dizziness or lightheadedness as your body tries to catch up on the need for more blood. By the third trimester all this extra blood can leave you with swelling in your feet and joints. Additional side effects of increased blood volume in pregnant women can include an increase in body temperature and sweating. All the extra blood volume can make your veins more visible and larger. 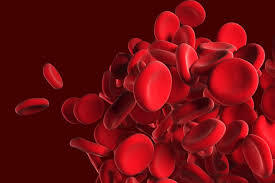 Blood volume also accounts for approximately four pounds of the recommended weight gain for a pregnant woman (25-30 lbs). Other fluids, not including the amniotic fluid, like water add another 4 pounds. The amniotic fluid is about two pounds. That’s a lot of extra fluid floating around in your system by the time you reach the end of your pregnancy. Weekly Miles: at 30 weeks pregnant, I’m still running but I’ve had to reduce my miles a lot. I run three miles a day at a ten and a half minute mile. Some days are more comfortable than others. I’m supplementing with the various elliptical machines at the gym to maintain my cardiovascular fitness. As the belly has begun to stick out more, the maternity belt works better and is able to reduce the pressure I was feeling in my pelvis while running.